It’s not all dragons, pirates, and soldiers this holiday season. 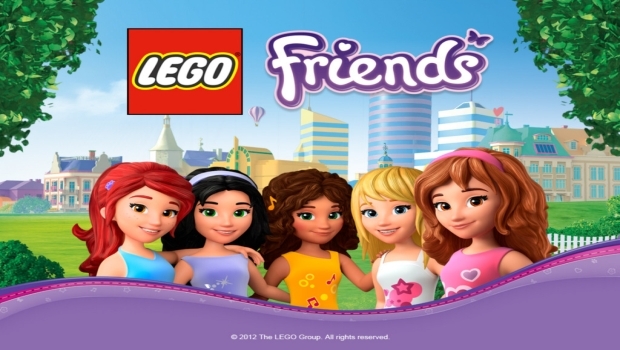 Warner Bros and TT Games have announced a new title called LEGO Friends. Based on the popular LEGO playsets, the game revolves around friendships, style, and girlie pursuits for the younger female market. We’ve got a handful of screenshots and a new trailer to show the game off. Here’s a little bit about LEGO Friends for the 3DS. Welcome to amazing Heartlake City where summer fun awaits! Meet your new LEGO® Friends and join them on exciting adventures that build friendships with the girls and allow you to express your individual style and personality as you explore the city. Shop for the latest outfits and accessories, select the perfect hairstyle, decorate your bedroom and even pick out a pet. Choose how to spend your summer vacation; whether you’d rather attend horse riding camp, perfect a dance routine, play soccer, practice karate, or care for an animal at the rescue center, you can do these things and more as you express your creativity, and build fun memories with your five new friends! Care for Your Pet: Train your pet to do tricks, groom them, feed them treats, and enter them in a pet show. Each pet has a special skill that they can use to help you on your adventures. You can even trade places with your fun-loving pet so you can play the game from her perspective. Scrapbook Adventures: Use your in-game camera for photo-ops and create a beautiful scrapbook of fun memories, so you’ll never forget your summer adventures in Heartlake City. The game is heading to the Nintendo 3DS in November of this year. You can check out the screenshots and video of the game in action below.